Military Defense - Industries - ZT | Zippertubing Co.
From prototype to application, Zippertubing® works with the Military & Defense industries to deliver the utmost quality. As a key military and defense supplier, we pride ourselves on providing products and solutions that our leading government agencies and departments can depend on. From airborne vehicles flown by the Air Force to Navy undersea systems, since 1957, we have been recognized as a trusted provider of top military and defense products. 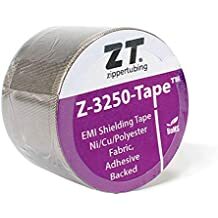 The Zippertubing® Company offers an extensive assortment of light- to heavy-duty wrap-around heat-shrink products and re-enterable cable management solutions that the military and its subcontractors have been using in their applications for decades. Our solutions have proven to uphold only the highest quality military product standards, and many of them are listed with national stock numbers for easy procurement. Here are just some of the products we have related to the Military & Defense industry! The Zippertubing® Company offers a multitude of military-grade materials that have been field tested and proven to exceed expectations. Our vast array of products and capabilities have provided reliable and effective custom solutions to serve virtually all military and defense branches. Military grade applications demand military grade protection and bundling products. Many of our standard products are engineered with mil-spec materials and meet the requirements to be considered or classified as standard military products. These same military grade materials can be used to create a fully customized solution to meet your specifications. With a large array of capabilities for development and production, as well as our on-site engineering team and experienced manufacturing staff, the possibilities are infinite. Zippertubing® manufactures custom-engineered prototypes, specialized EMI Shielding, thermal protection, abrasion protection custom solutions, and much more, which can withstand any environment and conditions. From the smallest applications to large-scale manufactured military retro-fit solutions, you can depend on Zippertubing’s effective solutions to last. Why use Zippertubing's Cable Management products in the Military and Defense Industry? Wrap-Around Polyolefin Repair Tubing (PRT) for quick & reliable wire or cable repair. Specialized heat-shrink tubing utilizing military-grade SAE-AMS-DTL-23053/5 materials. Heavy duty re-enterable cable protection for indoor or outdoor high- to low-flexing applications. Upgraded transmitter and receiver cable shielding. Customized EMI shields & protective covers for weapon systems. Polyurethane cable management for shipboard applications, providing long field service life. 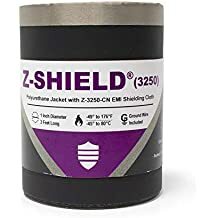 High voltage, temperature, and chemical resistant synthetic rubber protective wrap-around sleeves. Removable force protection equipment covers. Integration and repair facility cable protection.